When I started to think about this post, I realized I should include a disclaimer stating that my house is a mess. It’s not overly dirty, but it is cluttered and unorganized. Keeping up with it is something I have not yet mastered as a wife and working mom of three. I try, but I still have a lot of room for improvement. I have had to accept that my dreams of a spotless house, ready for a drop-in visit, are a long way off. 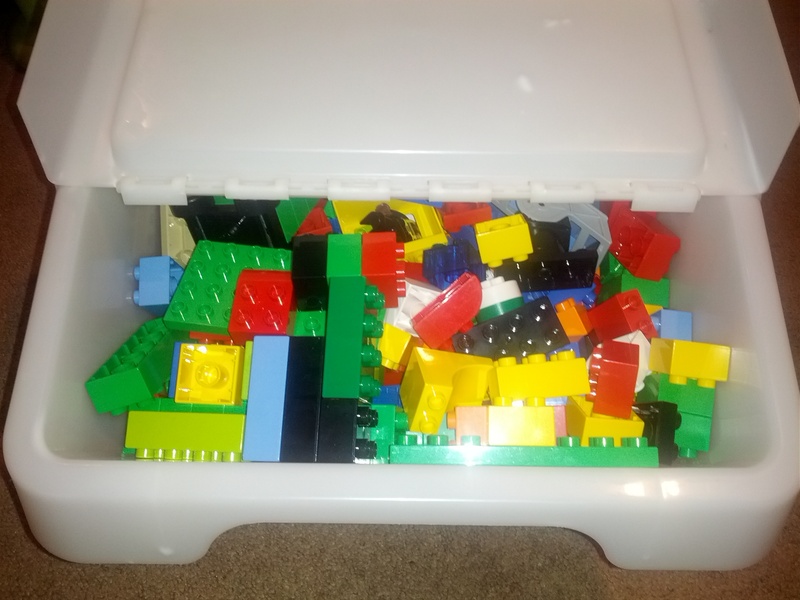 That said, I have some favorite storage containers that help my family when we get down to putting things in their place. 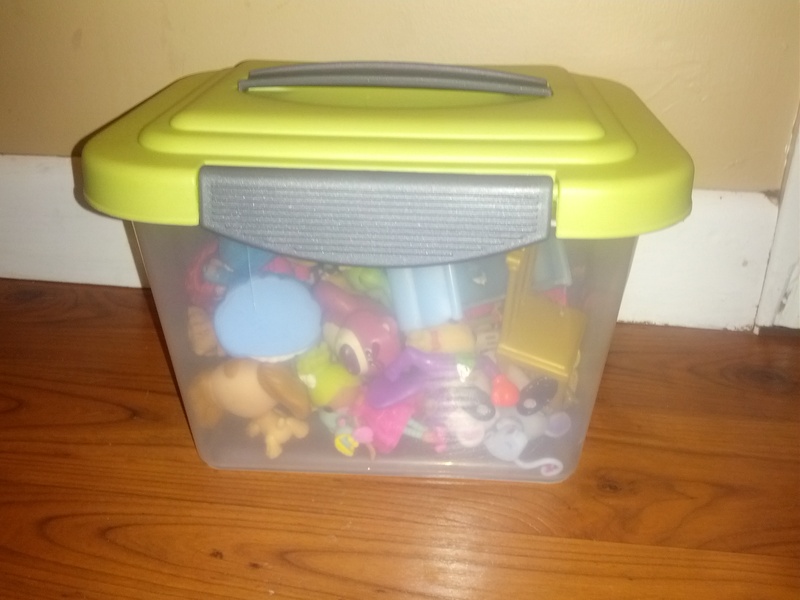 These Ikea storage bins are some of my favorites and they come in two sizes. Their actual purpose is to store recyclables. We use them for Barbies, Trains, Potato Head pieces, and Legos. The bins stack and are quite durable. My kids love puzzles. However, we seem to break the cardboard boxes immediately. 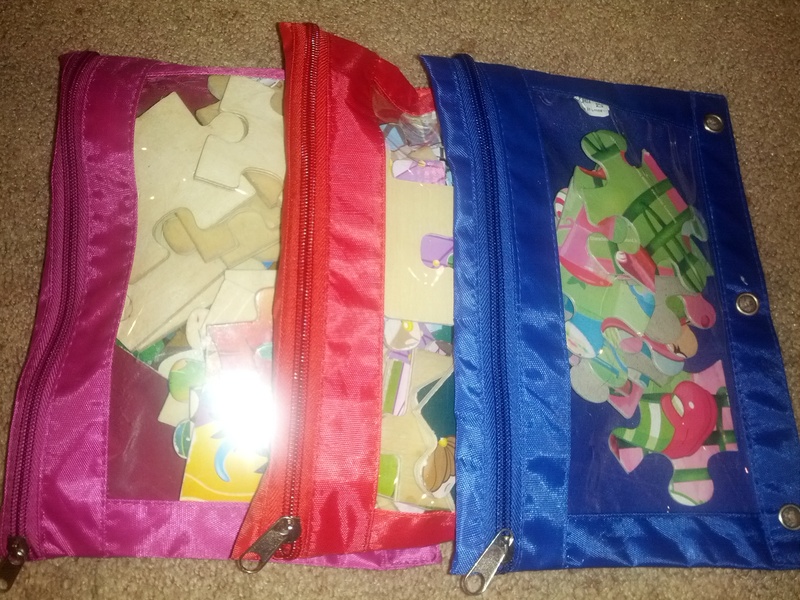 I have found an easy way to keep them organized if the puzzle is 24 or 48 pieces: soft pencil cases. They’re great for storing the pieces and now is the perfect time to pick up a few. I also really like to look for unique bins at places like Home Goods or TJ Max. 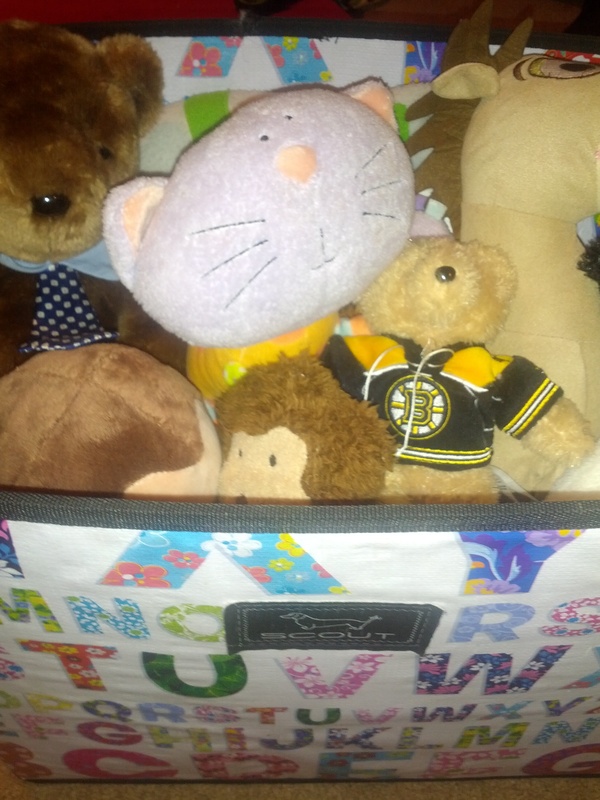 This alphabet bin holds our soft friends. It’s made by Scout and they have a variety of great prints. I really like the kid appropriate patterns that are a bit different from the plain, colored ones you find at bigger chain stores. We have a bunch of these smaller boxes to hold toy collections. Rubbermaid has endless options for sizes and shapes. These little boxes came in a three pack from Bjs. They hold things like Pet Shop People, cars, princess figures, superheros, or even hair accessories. They are also just the right size for a take along box when we go away for the weekend. Like I said, my house is far from being totally clutter-free and organized but these storage solutions do help me. I am forever searching for unique ideas on Pinterest and I plan to incorporate some new containers as we get ready for the birthdays and holidays ahead. We are definitely due for a good purge and organize. I’ll share more of what works for us along the way. I love the puzzle storage idea! What a smart way to store puzzles. I have been using gallon ziplock bags, but the pencil bag looks much better! I too share your disclaimer for clutter! Drop-ins are welcome at my house, but may have to clear a spot at my table!